Camille Prats gathered her family and friends for a gender reveal party. 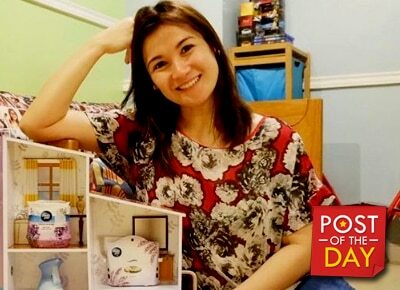 Camille Prats announced the gender of her baby online on Monday, April 17. The actress gathered her family and friends for a gender reveal party over the Holy Week break. On a YouTube video she posted, Camille made her loved ones guess her baby’s gender before revealing to them that she will be having a girl. Camille married John Yambao in January this year. Camille was previously married to Anthony Linsangan who passed away in 2011 due to cancer. They have a son named Nathan. Her son’s approval of her relationship with John was one of the main factors she decided to marry again. The actress announced she was pregnant last February. #SneakyBebesGenderReveal ???? boy or girl? ???????? video will be up this afternoon! ??? ?